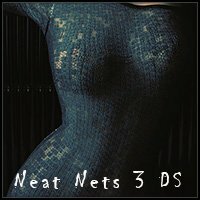 More lace and net shaders with eye catching patterns. Create new looks with a click. The textures are seamless, and can be used for commercial projects.